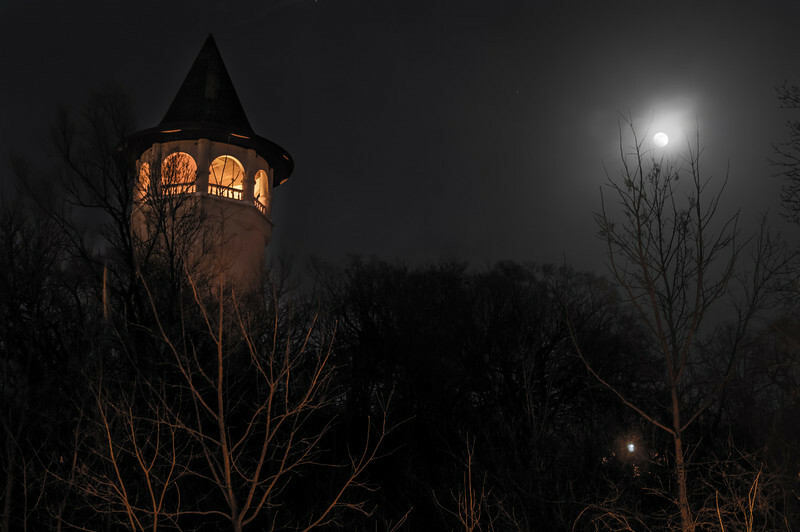 Halloween is over but the Witch Hat Tower in the Prospect Park neighborhood of Minneapolis is a staple year round. Shown here next to a full moon the tower is open once a year in June for residents to climb to the top. 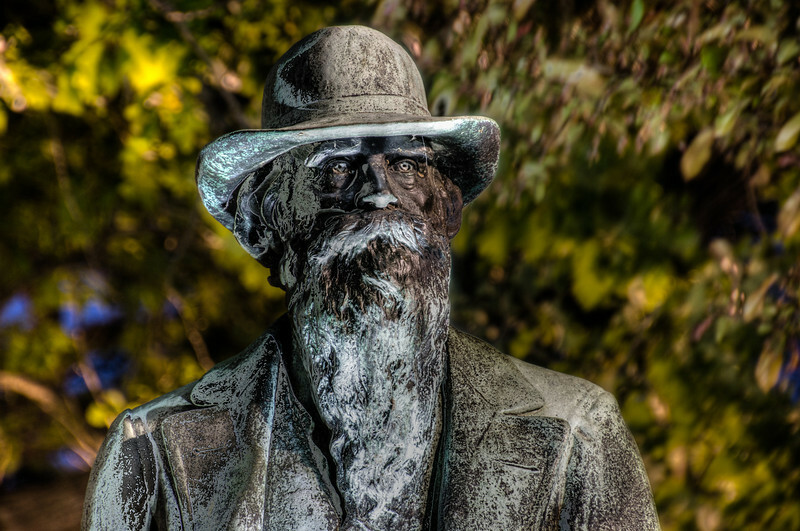 This spooky man was one of the first residents of Minneapolis. John H. Stevens is the statue and he comes to life at night. Well not really but it’s good for Halloween.